I would like to thank DITA Audio for providing the Fealty and Fidelity in return for my honest opinion. A little over a year ago DITA Audio unveiled their passion project; using quality components as a handcrafted titanium body and van den Hul cable, the Dream entailed their interpretation of a ‘cost-no-object’ single dynamic driver. Indeed, the Dream offered unique qualities such as particularly natural bass, a spacious stage, and a highly detailed sound, but the complexity and cost of its production process limited it to a run of 500 units. Building forth on their acquired knowledge, DITA has returned with an evolution of the Dream in two forms: the Fealty and Fidelity. The twins offer a somewhat similar house sound as the Dream, while simultaneously going in their own direction. In addition, they made a few practical changes. The housing is made from CNC-ed aluminum, and the van den Hul cable is traded for a sleeker, more flexible cable. While few doubted the sonic capabilities of the van den Hul cable, its rigid build was a turnoff for many audiophiles, as its ergonomics left wanting; it wasn’t necessarily heavy, but it certainly had a will of its own. The new lightweight cables seem to disappear while wearing, and makes for an especially comfortable pairing with the round housings. The understated elegance of the packaging remained, which consists of a matte white to match the silver-colored Fealty, and black box to match the Fidelity, which has a dark gray color with a hint of chocolate brown. 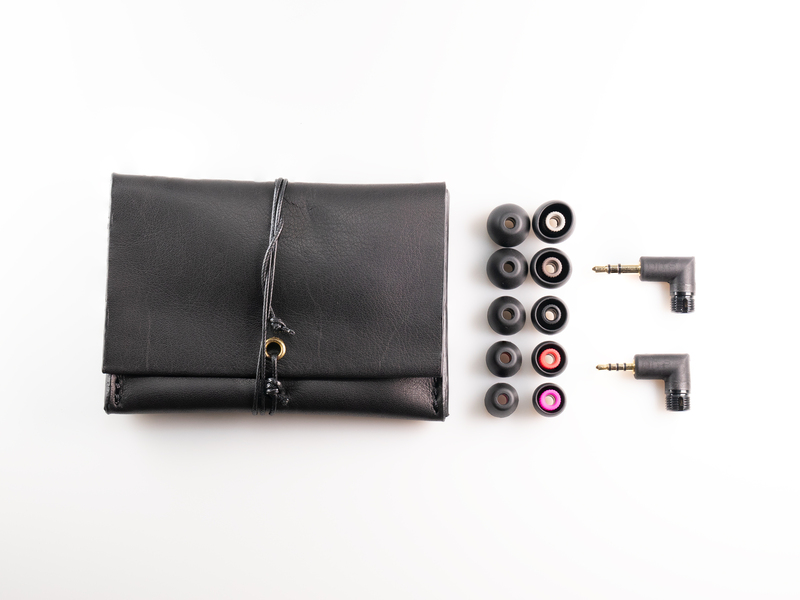 The accessories consist of five sizes of Final E eartips, a carrying pouch, and a 2.5 mm connector for the awesome plug that lets you switch the connector for different outputs (a 4.4 mm termination is optional). The accessories might be considered a bit slim, but the wide range of tips ensures a good fit for most people. Most importantly, owners of multiple daps are likely to find that the versatility of the awesome plug trumps most packages. The ease with which you can switch between plugs for different sources never ceases to amaze me (it’s also a very practical cable to test differences between single ended and balanced outputs of a player). Following the Dream, the twins embody DITA’s house sound: a clear, open sound, with a relatively neutral tonality. One might say, DITA’s interpretation of an uncolored sound. Most importantly, it’s a tuning that shines by means of its balance. Dynamic drivers still hold a unique position compared to balanced armatures when it comes to bass, which often leads towards pronounced V-shaped signatures to allow the power of the bass come through. The twins in turn were tuned with a clear focus on the midrange and lower treble, while most importantly, striving for coherency throughout the signature. Although they are not particularly warm, they don’t feel sterile due to their midrange body, and clear but smooth presentation of their treble notes. As a result, they offer an all-round signature that works for a wide variety of genres. The twins are not necessarily two different tunings altogether, but can perhaps best be viewed as a slight variation within a signature. They share a similar staging, bass, and tonality, while primarily differing in their midrange tuning: the Fidelity offers a slightly more detailed sound, while the Fealty provides more midrange body. 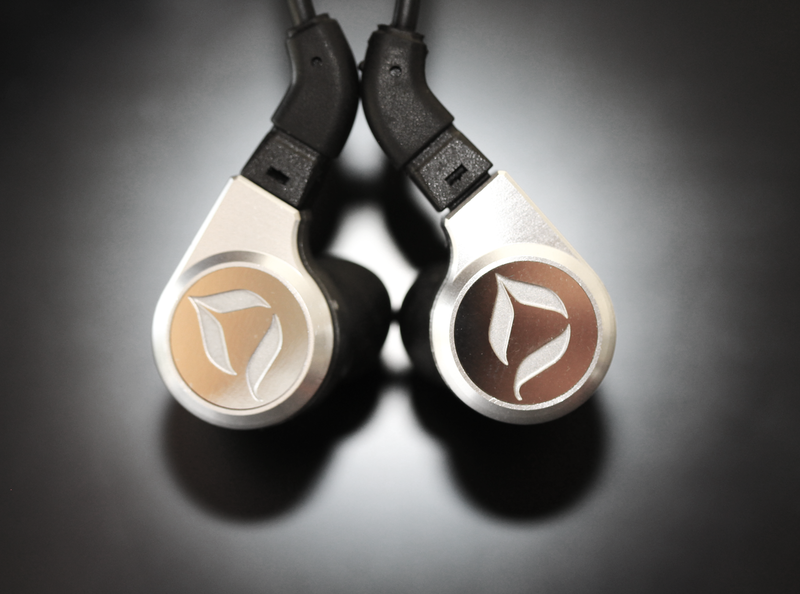 To allow the midrange to perform at its best, the twins are tuned with a laid-back mid- and especially upper-bass. The result is a tight and controlled bass reproduction. Accordingly, they provide compact, but detailed mid-bass lines, with a quick decay. Although the tone of the mid-bass could be warmer to sound true, the controlled quantity ensures the airiness of the stage, which allows for a remarkably clean presentation of the midrange. It’s a technically highly capable bass not by how it performs when it’s present, but by its lack effect on the rest of the signature. So not necessarily by what it does, but especially by what it doesn’t do – which is tighten the stage with warm air. And due to the excellent control of the mid-bass, the stage doesn’t feel congested. As a result, it offers a high level of separation, despite its average stage dimensions. Overall, it’s a functional mid-bass that takes a slightly distant position within the presentation, feeling comfortable to let the midrange and treble do most of the talking. However, when you switch the bass-heavy EDM music for instance, it reveals an above average sub-bass quantity, that displays the power of a dynamic driver. It provides good extension and a satisfying impact, although the enhanced quantity slows down its decay. The twin’s bass is a bit two-faced in this regard, as it can generally be considered tight and laid-back, but can equally be deep and impactful, depending on the music. But arguably, it’s the midrange where the twins start to shine. It’s also where they begin to depart. The Fealty offers great body in its midrange, which gives the sound a nice sense of fullness despite the neutral mid-bass quantity. Vocals have a slightly forward stage position, and are full-bodied in size. As it is a particularly clean-sounding midrange, they could be a bit warmer to sound completely natural depending on one’s preference. Even so, they don’t lack engagement; in terms of body, density, and size, the Fealty offers a rather complete vocal reconstruction, which sounds captivating due to their presence. So for vocal- and band-based music, the Fealty would be my first choice. 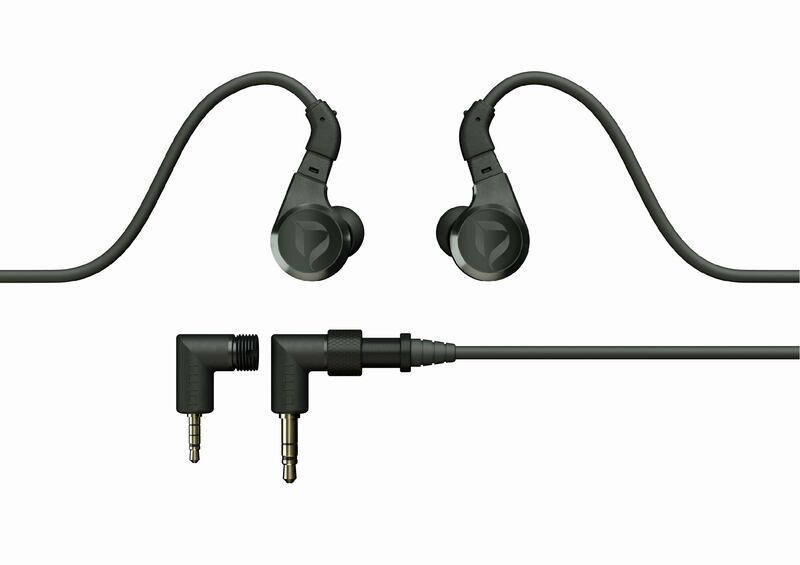 The Fidelity in turn trades some of its lower midrange for a leaner, but more articulate sound. By focusing the emphasis towards the upper midrange and lower treble, the Fidelity places more emphasis on the attack of the note. As a result, the Fidelity highlights string instruments in particular, and seems to work better for classical music in general. The neutral size of the midrange notes is a better representation of pianos and violins, with the lifted lower treble accentuating the sensation of a string being plucked. In addition, the tuning creates a slightly more spacious feel in complex passages. Accordingly, I would go for the Fidelity for classical music, or for people that simply prefer less lower midrange presence. In addition, it performs very nicely for female vocals, especially those higher in pitch. The twins’ tuning is completed with a treble designed to match the midrange. It’s a clear and articulate treble presentation, resulting from a subtly enhanced, but fairly broad, rather than sharp, lower treble peak around 5 KHz. As a result, this is a treble that doesn’t mind letting its presence known – the treble notes not only resound with great clarity, but a nice thickness in their body. Even so, I wouldn’t classify it as an overly ‘sparkly’ sound – there’s more of an even clarity throughout the signature, resulting from a little 12 KHz boost. However, it should be noted that I generally listen with the warmer SP1000 Cu, which has a warmer tonality, and relaxed upper treble. With a brighter source like my modded WM1Z, their signature leans more heavily towards a neutral-bright tonality, with a greater touch of sparkle. Overall, I generally find the two pretty smooth, although not particularly forgiving. Especially with lower quality pop or hip hop recordings, synthethic claps can sound a bit harsh, due to the lower treble tuning.